Currently, we only support Letter and A4 sized paper. By default, labels are printed onto an A4 size sheet of paper. To change this, or to change the size of the labels that are generated, navigate to Settings and once the page loads, click on Formatting. 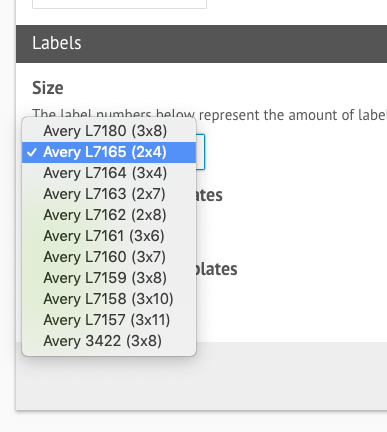 Next, scroll down to the ‘Paper & Address Label Size’ option. Click on the dropdown menu and choose the size you would like. Finally, click on the green ‘Save’ button found at the top and bottom of the page.